It's great to have a pair of men's cotton canvas shorts that are built for work, but it's even greater to have a design that's built for working and perfect for wearing for casual comfort. 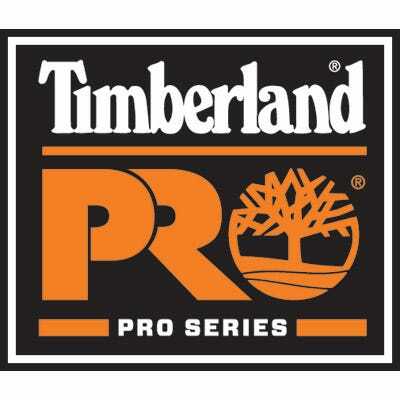 These Timberland Pro Men's TB0A12BTD02 Dark Wheat Son of a Shorts are versat ... (see full details) (see specifications) #TB0A12BTD02. It's great to have a pair of men's cotton canvas shorts that are built for work, but it's even greater to have a design that's built for working and perfect for wearing for casual comfort. These Timberland Pro Men's TB0A12BTD02 Dark Wheat Son of a Shorts are versatile, and they're ideal for either working or wearing out of the house. When it comes to durability, these men's dark wheat tan shorts are just what you need. They're crafted from 9.5 ounces of 100% washed cotton canvas. Canvas is a tough material; it doesn't wear down or show signs of use easily, so it's perfect for working men. These men's original fit shorts are also ideal for working people because they're functional. The Timberland Pro work shorts for men feature a number of pockets that make them perfect for busy hands, including separate pockets for tools, coins, your phone, and anything else you can fit. The men's dark tan workwear also has seven belt loops, so you can trust that when you're working hard, the belt and the design won't be going south. But the great thing about these men's canvas shorts is that they're also comfortable. Whether you're working long hours or taking a trip around town to run errands or meet a friend for dinner, the shorts will leave you feeling great long into the wear. It starts with the aforementioned cotton canvas composition. The cotton is soft and breathable, and it's made softer through the process of garment washing. You'll love the way they feel, and you'll also love the way they fit because they offer an original fit. These won't feel too loose or too tight on your waist. Timberland Pro also included an 11-inch inseam, and better yet, this pair is designed with a crotch gusset that increases your range of motion and offers a more natural feel. No matter where you choose to wear these Timberland Pro Men's TB0A12BTD02 Dark Wheat Son of a Shorts, whether for work or casual wear, you’ll find satisfaction. Get them here at Working Person’s Store for long-lasting comfort and durability. On behalf of the colleagues at the South Bend and Fort Worth Logistics Centers I wish to express our gratitude for your outstanding customer service and superb attention to detail in the completion of our safety jacket project. You identified fashionable styles of fleece and jackets and presented samples so we could compare price and quality as well fit individuals prior to placing the order. Patricia took the rough drafts of the artwork we presented in designing a unique logo acknowledging our colleagues safety achievements and turned this into a design better than we had originally envisioned. Thank You. Timberland Pro Shorts: Men's TB0A12BTD02 Dark Wheat Son of a Shorts is being added to your cart.